Effective January 1, 2018, Sparkle Cat Rescue has partnered with Banfield Pet Hospital, which allows us to make appointments in Burlington and Greensboro, NC, an added convenience to our foster homes that are located in the Triad of North Carolina. ​Banfield's Pet Adoption Rewards Program works with pet rescue organizations like Sparkle Cat Rescue to provide the best possible pre-adoption pet medical care. Our membership with PARP offers our cats free office visits, discounts on products and services and valuable veterinary care vouchers for every adopted pet referred to Banfield Pet Hospital. ​With every adoption of a Sparkle kitty, we will include a coupon for a FREE EXAM plus 50% off at Banfield Pet Hospital. When an adopter uses the referral coupon, Banfield will send Sparkle Cat Rescue a $20 veterinary care voucher as a thank you! ​Click the photo with the Chewy logo to be directed to our special link so Sparkle Cat Rescue receives credit for your first order! 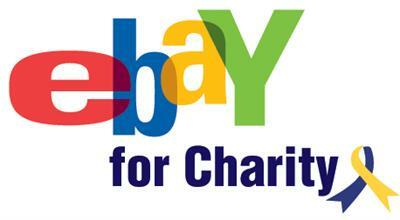 Support Sparkle Cat Rescue when sell on eBay! ! We hope you will select us as your preferred charity and donate 10%-100% of your sales to help the kitties we rescue. ​We are an all-volunteer group with ZERO paid employees, and a 501 (c) (3) nonprofit organization. Your donations are tax-deductible. ​Your donations help us cover medical expenses for kitties we rescue (spay/neuter, vaccinations (rabies and FVRCP), deworming meds, flea preventative, emergency vet visits, medications for sick kitties, food/litter not regularly donated, supplies such as litter boxes, cat beds - anything not regularly donated by our supporters. ​Shop and help Sparkle Cat Rescue at the same time! 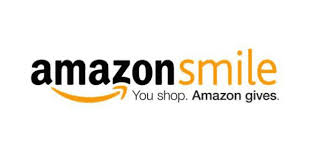 Do your everyday shopping with hundreds of great brands and earn cash back for Sparkle Cat Rescue with every purchase! Sparkle Cat Rescue has partnered with Pet Rescue Rx , which is an online pharmacy for pet medications and donates 100% of their net profits to animal shelters and rescue groups selected by their customers. They are a family-owned, New York State licensed pharmacy. Sparkle Cat Rescue's partnership with PetSmart Charities enables us to hold adoption fairs at Pet Smart in Burlington, NC monthly, have our kitties at the Adoption Center there, and thus increasing their chances of being adopted with more exposure. 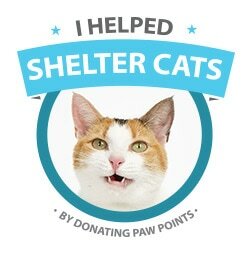 Pet Smart Charities donates $10 to Sparkle Cat Rescue for each cat that is adopted! Adopters also get a bonus! For every cat adopted, the adopter gets a coupon book with over $400 in coupons AND a $10 coupon for a future purchase at Pet Smart! ​Don’t just take your dog for a walk… Take your Walk for a Dog! Go to WoofTrax.com, download the app, and support Sparkle Cat Rescue every time you walk your dog! Every Walk for a Dog counts, whether it's a walk around the block or a three-mile hike. Magnify your impact by sharing the app with your friends and family.